Below is the entire Alex Jones show for May 13, 2014, where Jones covers a variety of subjects and has some blockbuster guests, including Wolfgang W. Halbig, a former Florida State Trooper and Executive Director of the National Institute for School and Workplace Safety, who spoke before a meeting of the Connecticut Board of Education about the Sandy Hook Elementary School shooting and the organized, suspicious, shutdown of public information concerning the mass shooting as skeptics seek answers on a number of inconsistencies and anomalies. 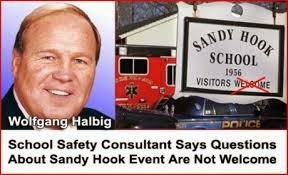 Halbig caused a big stir when he pointed out the strange actions and reactions from authorities during the Sandy Hook massacre, by simply asking questions and was seriously harassed for doing so at the time. Another guest is director and writer Joel Gilbert, who worked on Dreams from My Real Father: A Story of Reds and Deception, a film that states Obama’s real father was Chicago Marxist Frank Marshall Davis. Additional topics include the suggestion that any criticism of Hillary Clinton as president would be sexist just as any criticism of Barack Obama has his cult-like followers screaming racism.